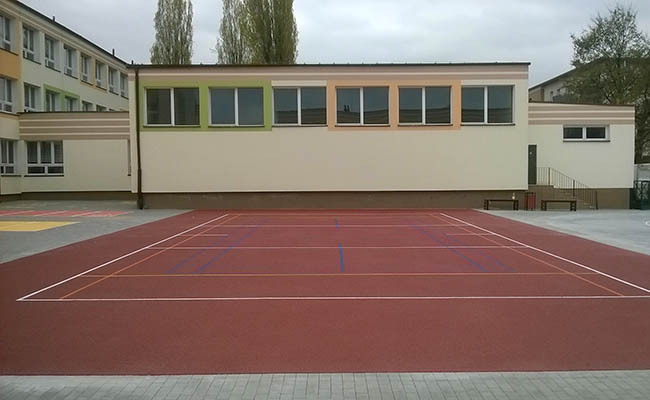 On April 12-th we completed modernization of the school sport field in Żarki. 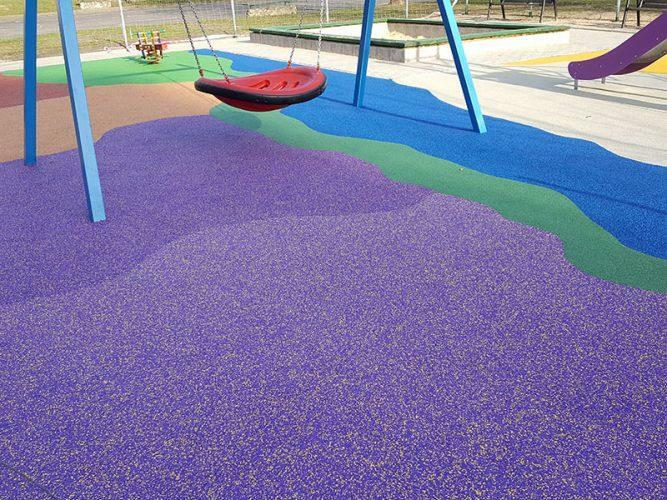 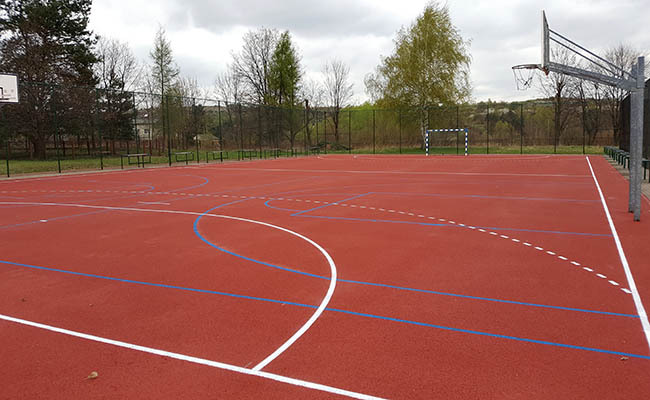 Over 1 000 m2 of old surface was replaced by new, applied by spray covering machine, surface. 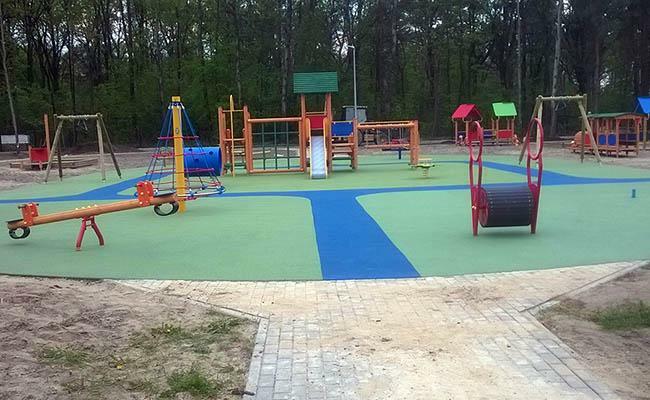 Colourful playground in “Widok settlement” – the first installation completed after a long winter break. 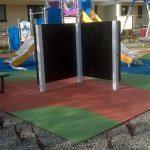 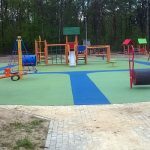 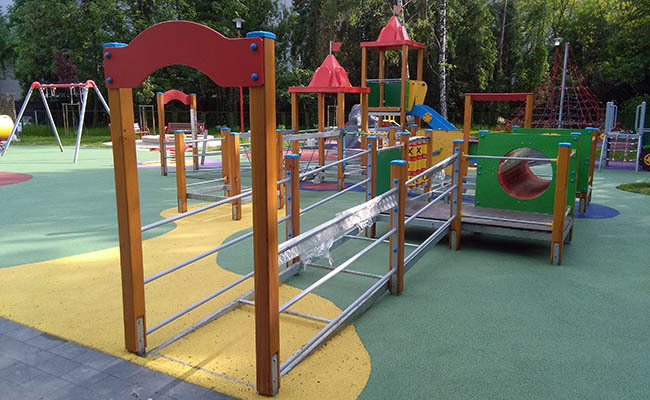 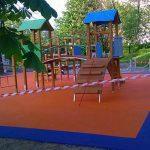 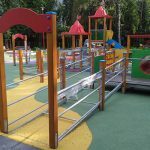 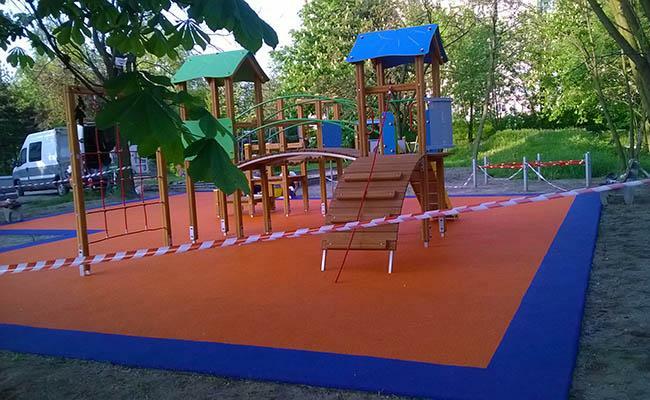 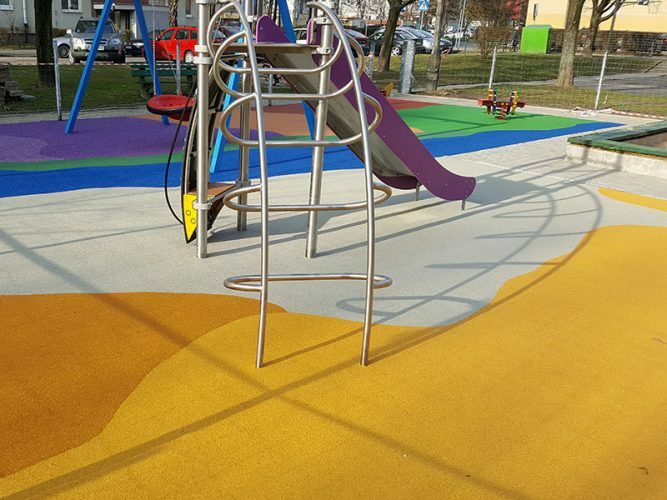 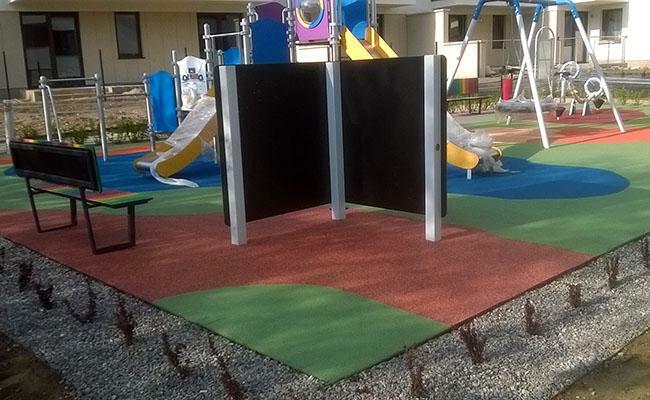 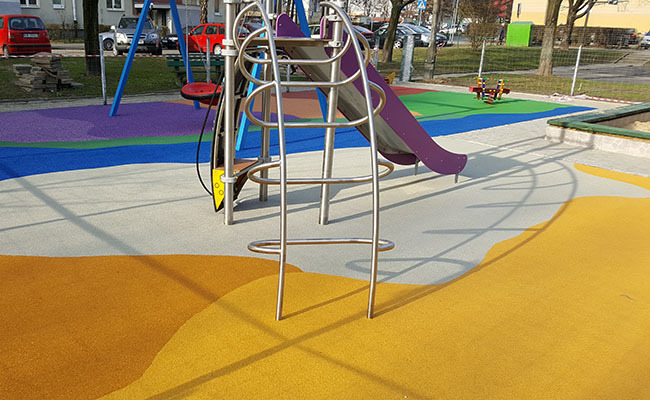 Carried out projects: 2 playground installations in Kraków and Lublin, 2 sport playfields installations in Libiąż and Toruń and athletics truck in Kraków.